The Y.E.T.I ‘Young Entrepreneurship Tomorrow Initiative’ Project is an exciting new initiative for people aged 16 – 24, living in the unitary authority of Caerphilly and Carmarthenshire. 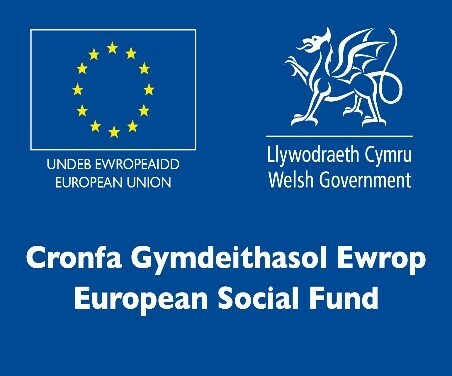 The project has been supported by the European Social Fund through the WCVA, to help people to develop skills and provide support into work, volunteering and/or further learning. provide Agored Cymru accredited Level 1 and Level 2 Awards across a wide range of subject areas such as Team Working, Safeguarding, Career Planning, First Aid, Volunteering and Community Engagement, IT, Entrepreneurship, Glass Painting, Aromatherapy, Domestic Abuse Awareness Training, Mindfulness, Pottery, Jewellery Making, Photography, Play Work and more. Offer support into volunteering through partner agencies, Volunteering Open Days, training and taster events. offer support to access further learning opportunities internally and externally. offer Support with CV writing, Job searches, interviewing and presentation skills. The YETI Project welcomes participants who are who are long-term unemployed or economically inactive; living in the unitary authority of Caerphilly and Carmarthenshire; aged 25+; not on the DWP’s Work Programme; not in full time or part time education.